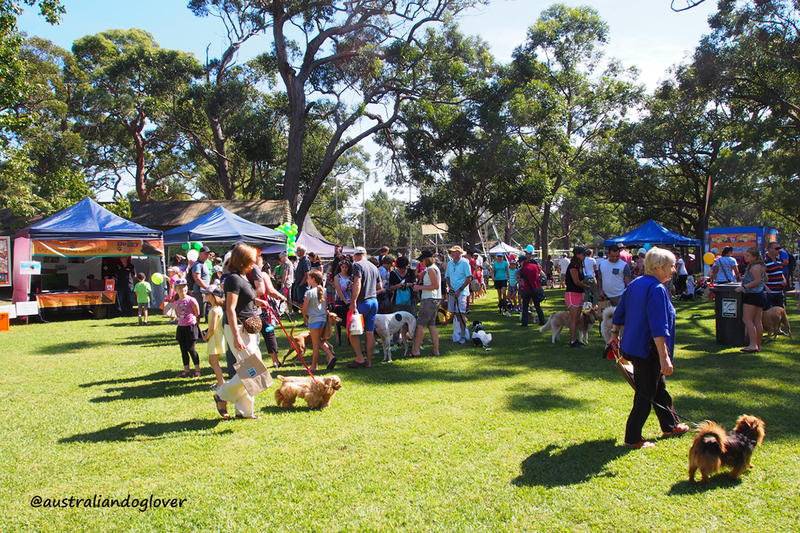 Enjoy a fun day out with your four-legged friend at Ku-ring-gai Council's free Dogs Day Out event at St Ives Showground on Sunday 26th March! 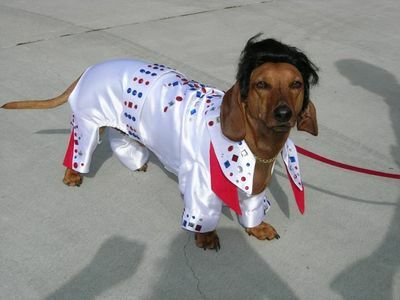 This year's theme is ‘The Dog’s Got Talent’ and dog owners are encouraged to dress their dogs up in ‘rock star’ inspired costumes for the much-anticipated Best Dressed Pet competition. 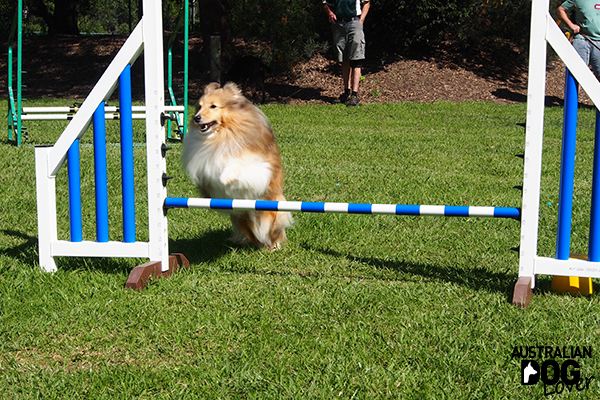 There will be doggie races throughout the day for little dogs, big dogs, slow dogs and experienced dogs. 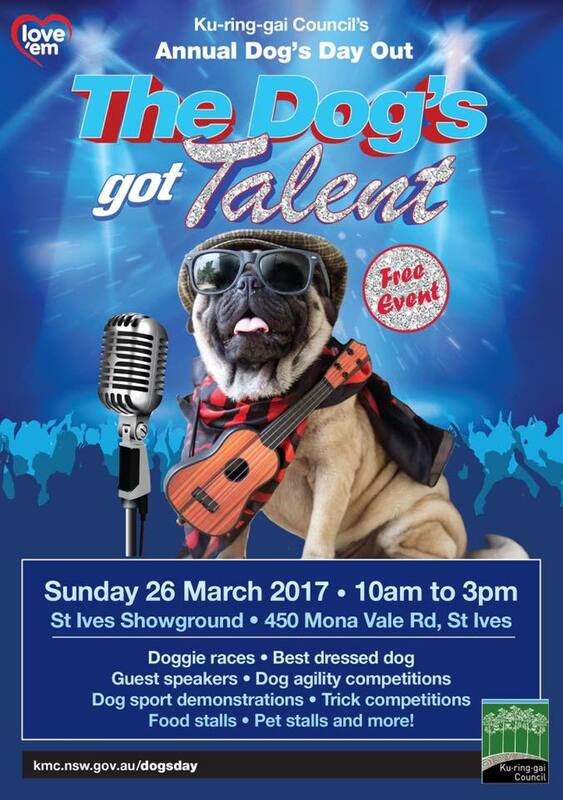 The 2017 Dogs Day Out event will be presented by renowned dog trainer Steve Austin, with demonstrations by animal behaviourist Dr Jo Righetti plus performances from the Northern Suburbs Dog Training Club. Animal rescue and welfare societies will be available to discuss any issues you may have with your pets or potentially match you with your next family pet. Vets will also be in attendance to talk about pet health matters. There will also be free face painting and entertainment for the kids. Bring your own picnic lunch or enjoy some of the great food our stallholders have to offer. This event is also your chance to stock up on items for your pooch with a whole range of pet products and accessories on display. 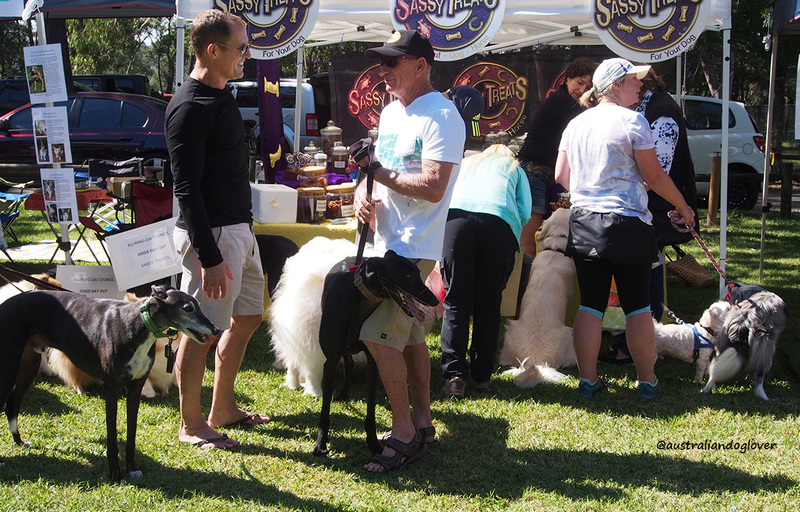 Dogs Day Out stallholders are the ‘Who’s Who’ of the pet industry. Head down early for your chance to grab one of the show bags offered to the first 500 dog owners, which will include treats, flyers, dog poo bags and a free colourful dog leash! Please note: all dogs are welcome to attend, owners are asked to keep their dogs on a lead, under effective control and pick up after their animals.